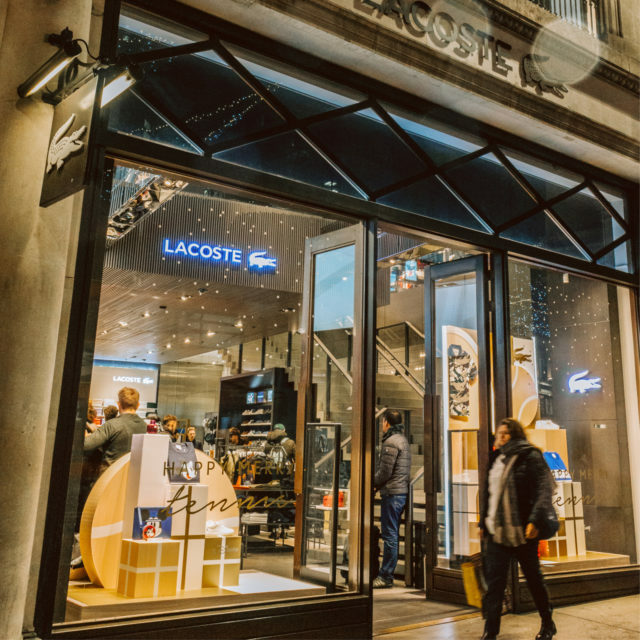 As part of our continued collaborations with Lacoste we worked closely with their design team to realise a premium display that could be rolled out to stores worldwide. 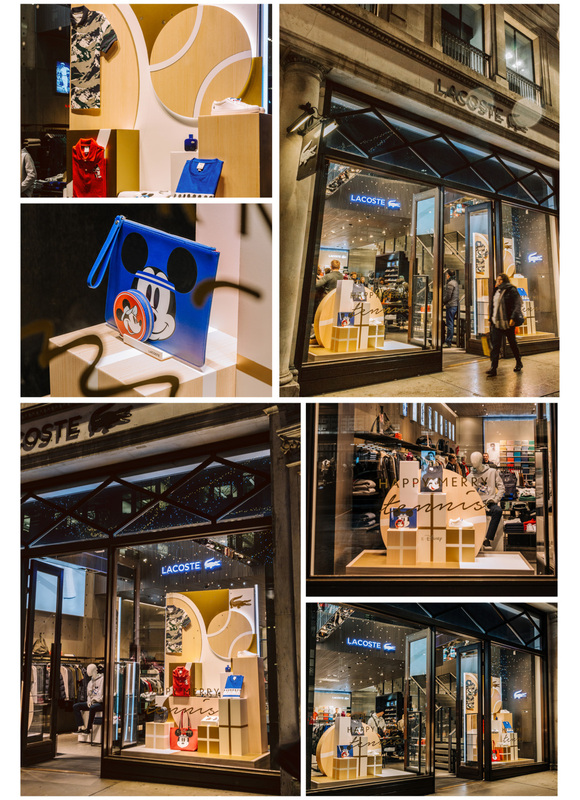 The window is a celebration of 85 years of Lacoste and the 90th Birthday of Disney’s Mickey Mouse. The wooden props hero key product from the collection in the signature style of this premium brand. Subtle tones of metallic gold are combined with printed wood finishes and this tonal colour palette acts as a versatile backdrop for displaying gifts throughout the festive period. 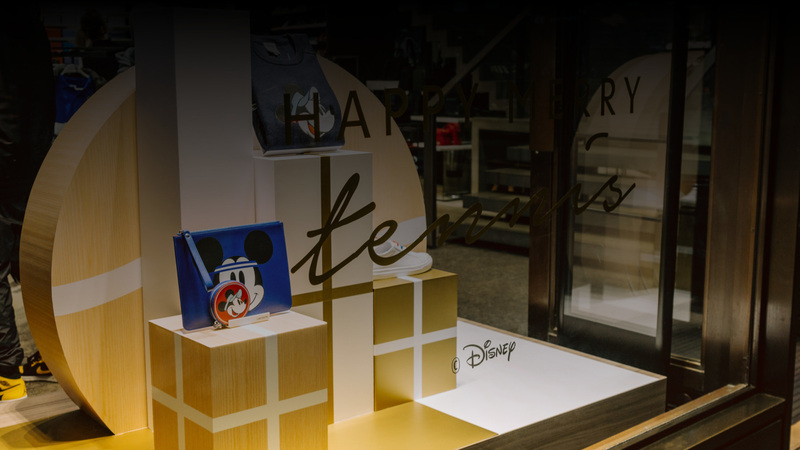 Over five thousand individual presents were produced and we used over 4 miles of gold vinyl! The individual elements were neatly flat packed in one robust cardboard case which ensured everything arrived in perfect condition. 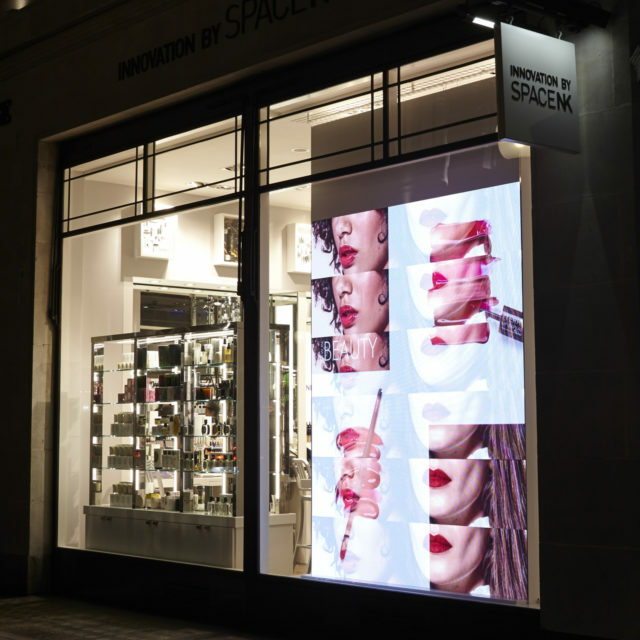 The VM teams could easily unpack and install the campaign using the guidelines supplied. 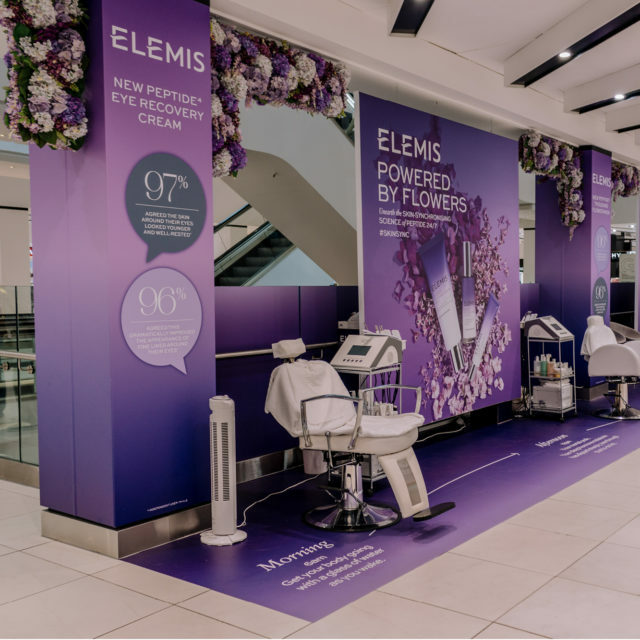 This ensured complete consistency across all their stores worldwide.